Please forgive the length of the title for this entry. But I think it illustrates why there is so much misinformation out there about what happens when you file a bankruptcy (either a Chapter 7 or Chapter 13). I can’t tell you the number of times I’ve had someone tell me with complete conviction that they know for a fact that if they file a Chapter 7, the government will take their house. Why? Because someone, somewhere said so, and they heard about it from a friend of a friend. First of all, let me just say that my response to someone who says, ‘I don’t want to lose my house!’, is always the same: ‘I don’t want you to lose your house either!’ My goal is simple. I want to discharge as much debt as I can, and allow my clients to keep every asset they want. I want you to save your house, and your car, and your personal property. Here’s how it works: when you file a bankruptcy, there is a duty to disclose all of your assets (in other words, you have to let the government know about all your real estate, automobiles, and other personal property like clothes and jewelry). Usually, if someone owns a home, there is a mortgage loan between yourself and the bank. Let’s say the total balance of your mortgage is $150,000.00. The next question is, how much do you think your house is worth (the so-called Fair Market Value). Now this is the part that gets a little hairy. Figuring out the value of anything (your house included) is not an exact science. There are a lot of variables involved: like what kind of work needs to be done on it (does it need a new roof, does the ceiling leak, does the front porch need repair? ); what are other houses in the area selling for (not the price they list on the For Sale sign, but rather what the house actually sold for); what kind of area you live in (is the area considered ‘nice,’ or is it considered ‘bad’); and what does the housing market look like right now (I don’t know if you’ve noticed, but the value of homes has dropped like a rock all over the country). After I have a lengthy conversation with people about the types of repairs that are needed, what the area they live in is like, and what other houses in their neighborhood are actually selling for, it very often becomes clear that the value they had originally given is way off the mark. Why is figuring out the value of your home so important? Because when you figure out the value of your home, you can determine whether or not there is any equity in it. What is equity? Well, let’s use the above example, where you have a house with a mortgage loan of $150,000.00. You then estimate the value of your home to be $160,000.00. In this example, there is $10,000.00 of equity (it’s the difference between what it is worth and how much you still owe). In the state of Missouri, you are given a $15,000.00 exemption to cover any equity. What is an exemption? It is a legal mechanism the government uses to help you protect your assets. So again, using the above example: if you still owe $150,000.00, and you think your house has a fair market value of $160,000.00, there is equity of $10,000.00. If the state of Missouri gives you an exemption of $15,000.00 to cover equity in your house, you would add that $15,000.00 on to what you still owe ($150,000.00 + $15,000.00 = $165,000.00). As you can see, this has the effect of ‘eliminating’ the equity in your home. Because if the value of your home is $160,000.00 (in other words, this is how much you think you can realistically get if you were to sell it ‘as is’), but what you owe on it is $165,000.00 ($150,000.00 plus the exemption of $15,000.00 that the government gives you), then there really isn’t any equity at all. In this scenario, there is no reason to worry about losing your house in a Chapter 7. If you want to keep it, you would simply promise to continue to pay whatever the monthly mortgage payment is. And believe me, so long as you are current when you file the bankruptcy, the mortgage company would be MORE than happy to reaffirm the debt! Of course, even if what I’ve written seems easy enough to understand, there are plenty of people out there who are scared to death to even talk to a bankruptcy attorney about their options. They believe without a question or doubt that they will lose their home. 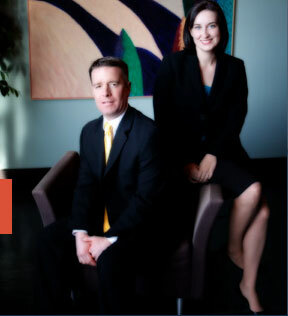 But if you’d like to speak to an experienced St. Louis bankruptcy attorney who can review your debts and assets, we are available to help you. All phone and office consultations are free of charge!